There are a thousand cheesy bike themed things you might be tempted to get your cycling loved one for Valentine’s Day. But before you get them an ‘I ♥ Bikes’ sign for their shed, or love sausage, or a picture frame made out of a bike chain…read on. 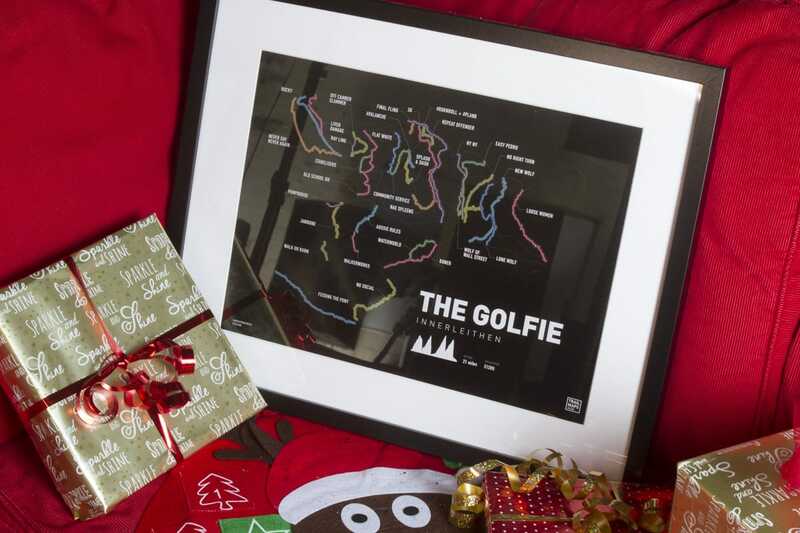 Let us suggest some alternative gifts that will really show the rider in your life how much they mean to you. Aw…wouldn’t this melt your heart? Plan a route somewhere – ideally from a nice B&B. Where can you stop for a coffee? What about lunch? Is there a spot to sit and take in the view? 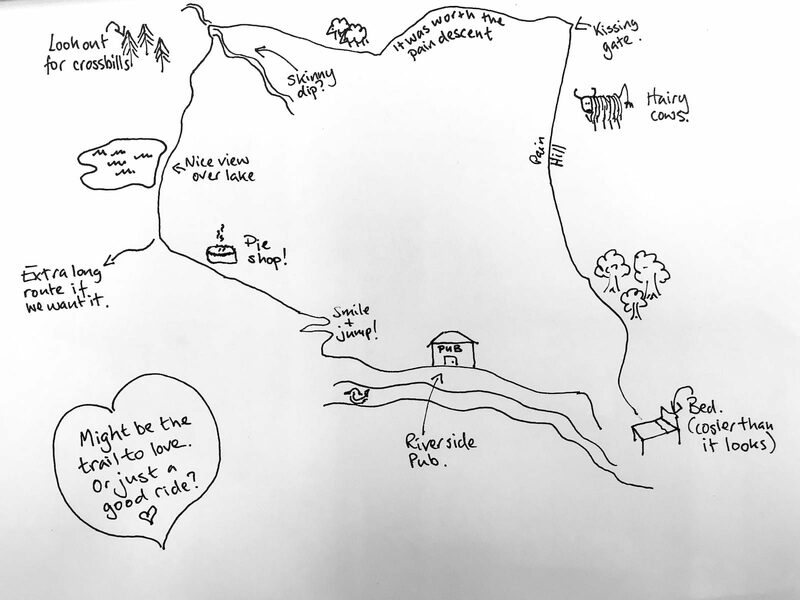 You don’t need to be an artist, just trace the key features off an Ordnance Survey map and annotate it with stops and sights you think your partner will appreciate. Start a collection and inspire some adventure. Just as there’s nothing quite like a paper magazine to flick through, there’s joy in a proper Ordnance Survey map. 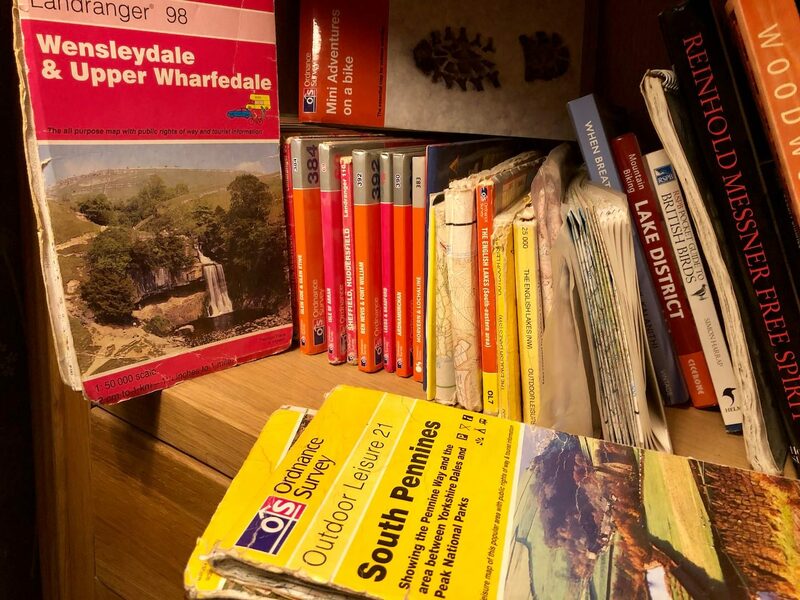 Why not buy a couple – maybe enough to cover the whole of a National Park? Then next year you can buy another National Park’s worth. And so on…And maybe even visit? You could build a whole frame, or just add the parts. 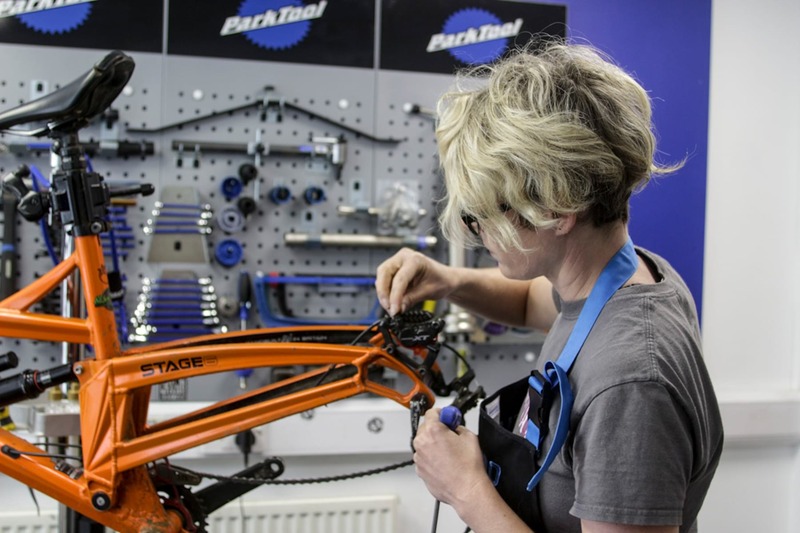 Go all in and build a whole bike for your partner. Maybe you buy the frame and add the components, or maybe you build something bespoke and beautiful from scratch. Even if it’s just a shopper, or a pub bike, the time and love that’s gone into it will surely speak for how you feel about your beloved. Save someone you love a job. Has your partner been putting off a repair? Maybe getting just one more ride out of that groupset? Buy and fit the parts, and you could be putting a smile on their face for ride after ride to come. 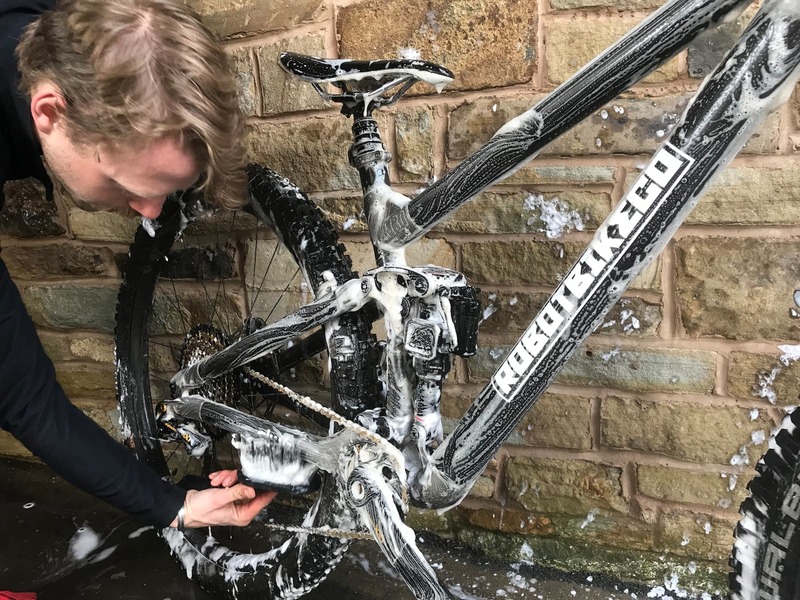 Washing a robot bike, sadly not a robot bike washer. No one really likes cleaning a bike. If you’re short on cash but rich on time, give your loved one’s loved item a really good deep clean. Buff and rub until it shines like new, give the frame a good protective waxed finish, and carefully apply lube to the essential places. If you’re wanting to buy a gift for someone that doesn’t yet know you exist, a weekend away riding might be a bit much. And if you try and wash their bike…that might be a bit weird. They might call the police. 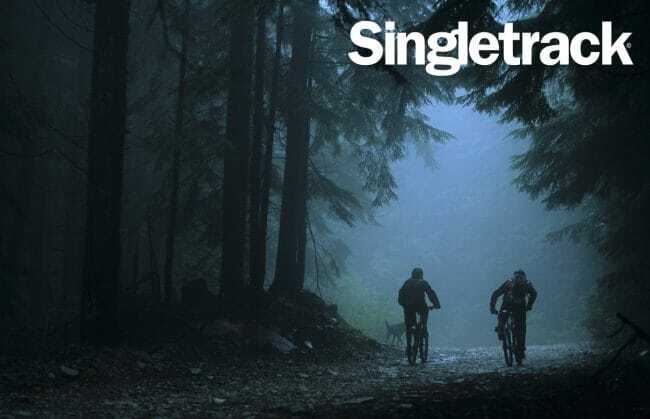 We have a whole bunch of non-cheesey high quality gifts in the Singletrack Shop – why not order them something right now? Then when you see them you can say ‘that’s a nice hat/sweater/hipflask’, the ice will be broken, and maybe by next year you’ll be able to be a little more intimate with their bike collection. 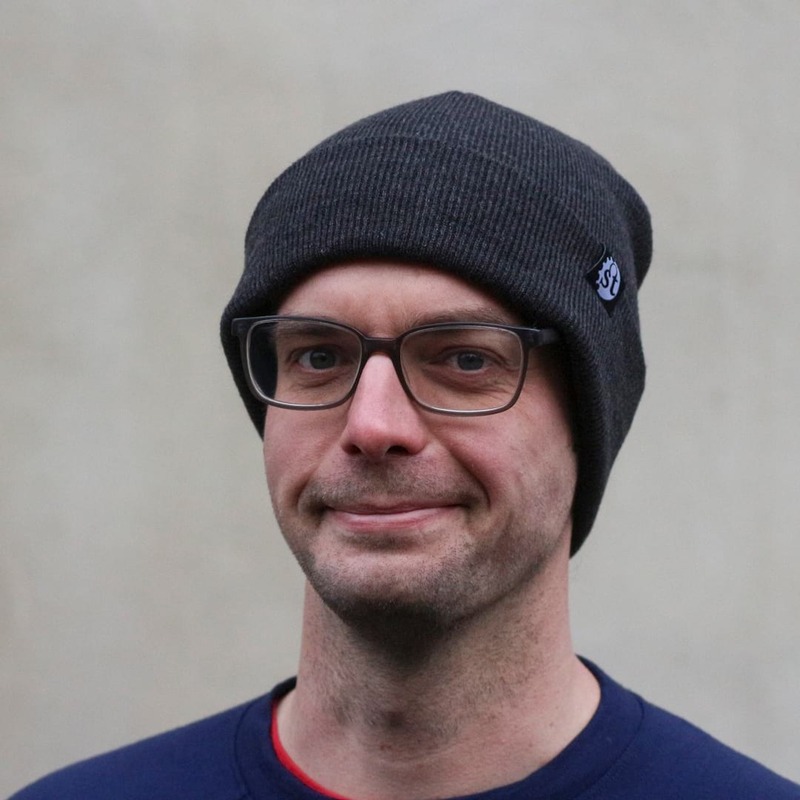 Surely you want our Mr Love to send your true love a beanie?